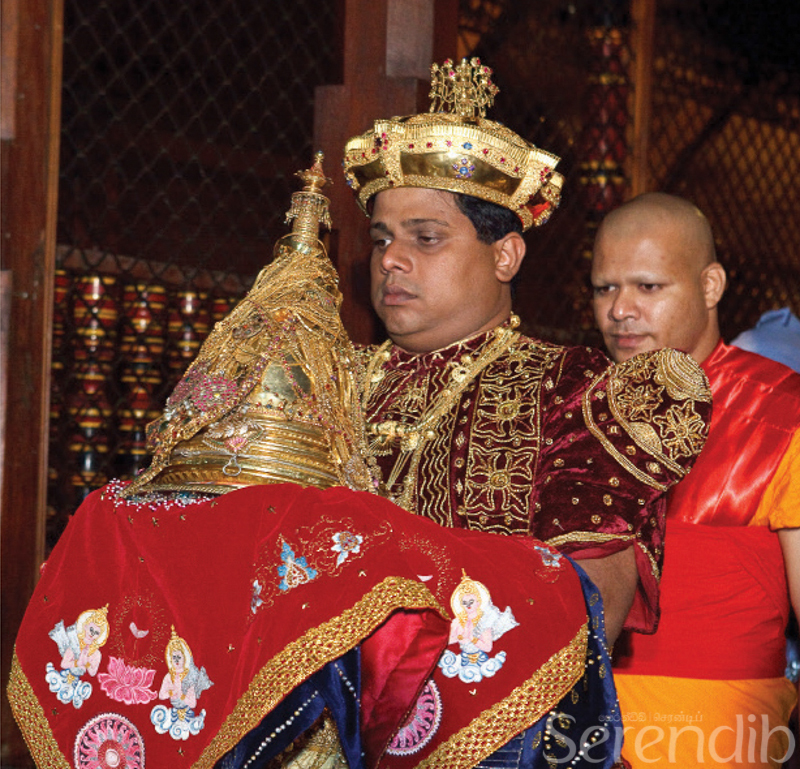 Seeking safety and sanctuary, the Sacred Tooth Relic of the Buddha travelled from India to Sri Lanka. 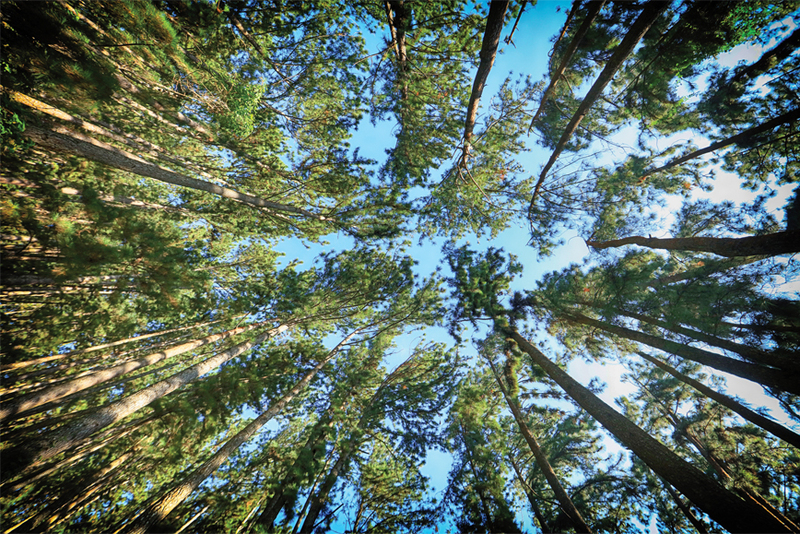 Before receiving an eternal place in Kandy, the Dalada Vahansa records an epic journey within the island. Nearly 800 years after the Buddha's Parinibbana, the Sacred Tooth Relic of the Great Teacher had been devolved to Indian King Guhaseeva. It was his duty to pay homage and worship the Sacred Relic and ensure its safety. Faced with imminent invasion from his rivals, the King had to make the difficult decision of relocating the Relic. Hence, he bid its custodian, his son-in-law, Prince Danta and his wife, the king's daughter Princess Hemamala to make the dangerous voyage through enemy territory across the seas to the isle of Sri Lanka, long known as the citadel of Buddhism, where the Sacred Relic would be safe. The trusted royal goldsmiths crafted in pure gold a receptacle studded with red rubies. 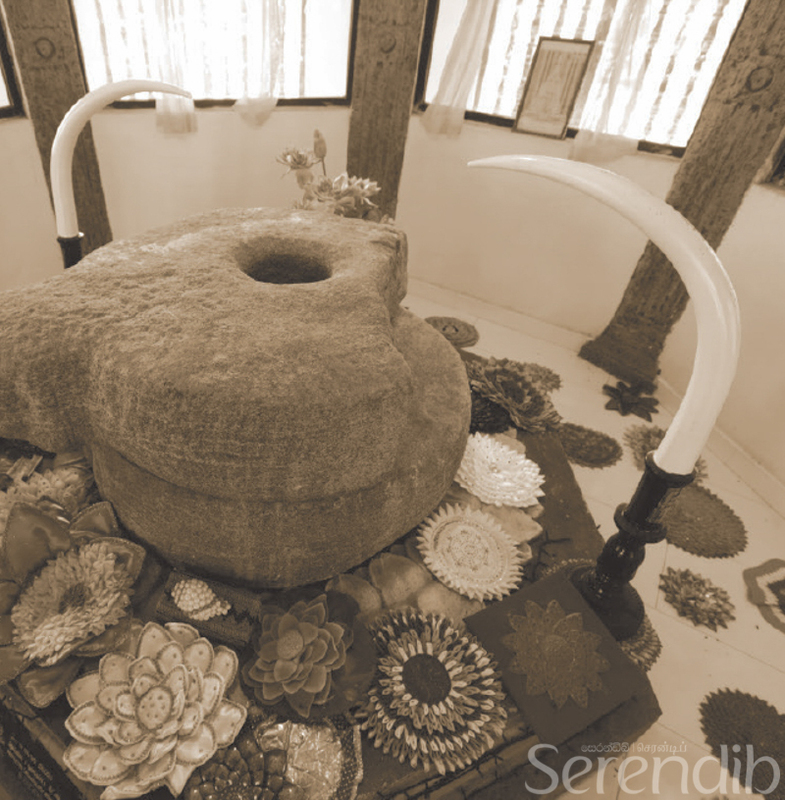 The Sacred Tooth Relic that was placed within the receptacle was then hidden in Princess Hemamala's top knot to avoid being discovered. Disguised as peasants, the Prince and Princess travelled to Sri Lanka ruled at the time by King Kirthi Sri Megavanna. The royal delegation from Kalinga was warmly welcomed and King Kirthi Sri Megavanna paid great veneration to the Sacred Tooth Relic, from then onwards known as the Dalada Vahansa in the island. Unlike other relics of the Buddha, which were often enshrined in large stupas, the Dalada Vahansa was left mobile and placed in the Meghagiri Viharaya, presently known as Isurumuniya, in Anuradhapura. Soon a tradition arose where the ruler who possessed the Sacred Tooth Relic was considered the rightful monarch of Sri Lanka. The Sacred Tooth Relic that was placed within the receptacle was then hidden in Princess Hemamala’s top knot to avoid being discovered. Honouring his duty to safeguard as well as venerate the Dalada Vahansa, King Megavanna further commenced the tradition of the Relic being displayed to the public through an elaborate procession every year; a custom that continues to this date. 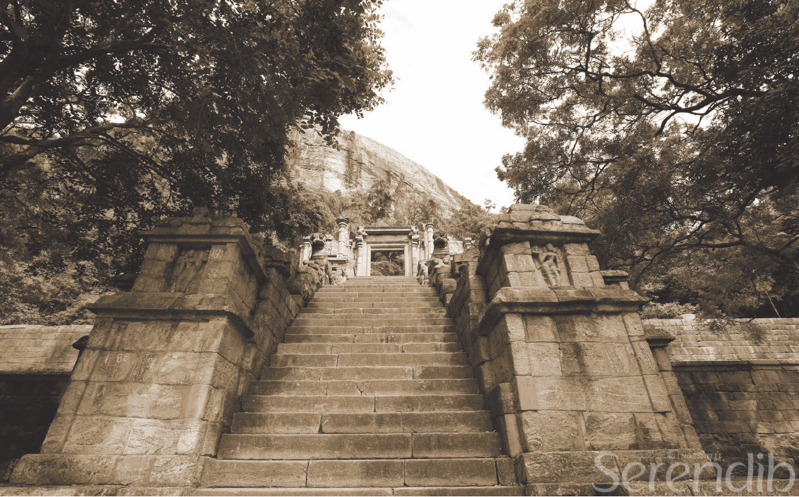 According to Fa-Hsien, the Chinese traveller monk, who lived in the Abayagiri monastery during the fifth century, the Dalada Vahansa was taken in procession from the Sacred Tooth Relic shrine to the Abayagiri Viharaya in Anuradhapura. Here, the Relic was exhibited to devotees for three months with ritual worship. 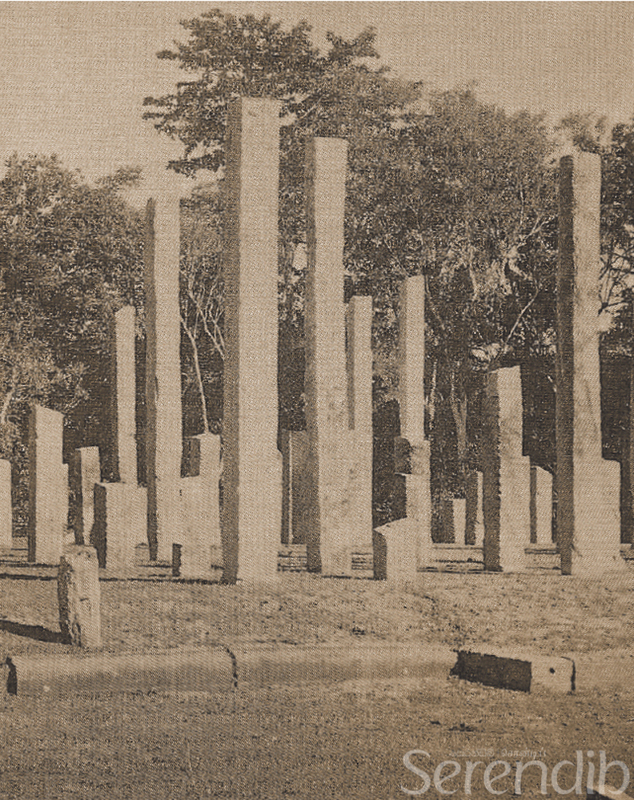 The Dalada Vahansa remained in Anuradhapura for 700 years until the invasion of the South Indian Cholas who stormed the 1,400-year-old capital. 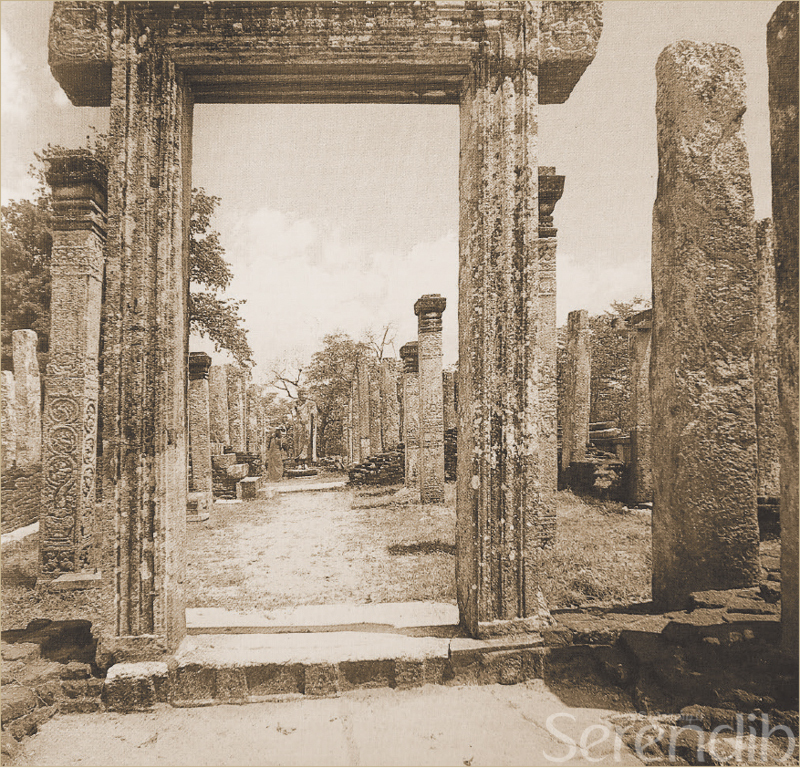 After ransacking Anuradhapura, the Chola invaders seized Polonnaruwa and made it their capital, during which time the rulers of Sri Lanka wisely retreated. They remerged after 53 years under the leadership of Prince Kirthi, who launched an ambitious campaign, which saw the Chola invaders overthrown and banished to India. Ascending to the island's throne as King Vijayabahu, he made Polonnaruwa the country's new capital and built the Atadage to house the Dalada Vahansa. Yet, after a brief 150-year rule that included the reign of King Parakramabahu the Great, Polonnaruwa collapsed at the hands of Mahga of the Kalingas. As wave after wave of invasions drove the island's rulers southwards with the Dalada Vahansa, one of the first stops was at the Pusulpitiya Rajamaha Viharaya in Kotmale. However, the kingdom remained on the run until the 13th century when Sri Lankan rulers made Dambadeniya the capital and enshrined the Dalada Vahanse. 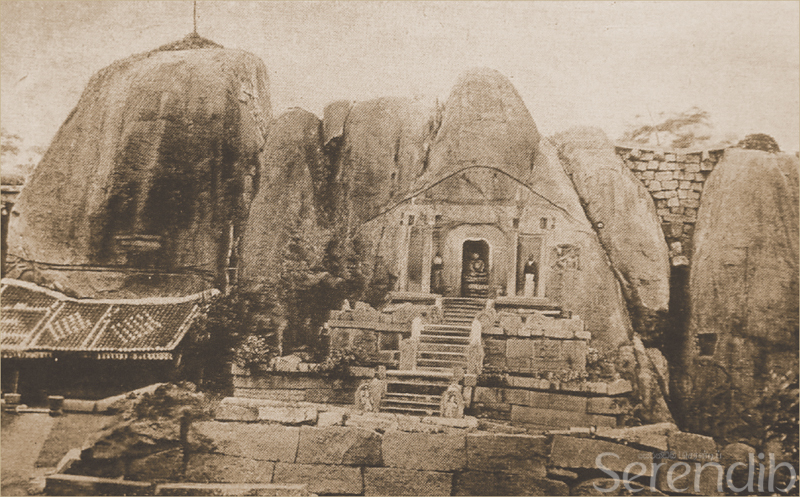 Later, in the 1270s, Bhuvanekabahu I established the Kingdom of Yapahuwa, a rocky mountain with a panoramic view of the entire surroundings - a vantage point to foresee enemy movement below. Displaying great respect and reverence, he placed the Sacred Relic at a temple built on the mount's upper reaches whilst he himself remained on the ramparts below to guard the Relic and lead the troops in its defense. After his demise in 1284, his descendants moved the kingdom and Dalada Vahansa to Kurunegala and then in 1344 to Gampola in the central highlands. In 1412, the island's rulers moved the capital to the island's western coast. The Kingdom of Kotte, a few miles away from modern-day Colombo, was established by Parakramabahu VI. 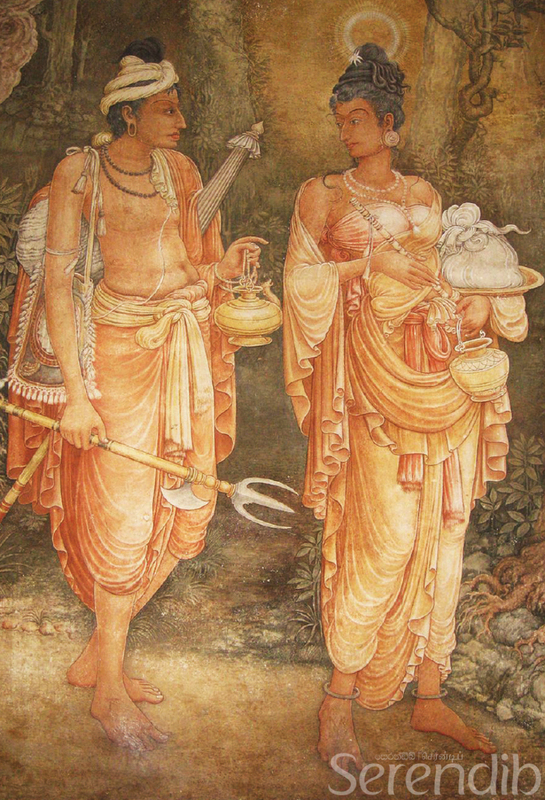 Disguised as peasants, the Prince and Princess travelled to Sri Lanka ruled at the time by King Kirthi Sri Megavanna. 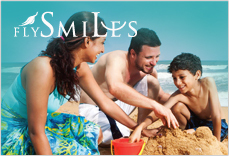 In 1505, Sri Lanka was besieged by the Portuguese who seized control of the coasts. Their military might along with missionary zeal to spread Christianity resulted in the baptism of Prince Dharmapala, the grandson of King Buwanekabahu VII and heir to the Kotte throne. Therefore, Buddhist monks secretly took the Sacred Tooth Relic to the Kingdom of Sithawaka, ruled by the King's brother - King Mayadunne. 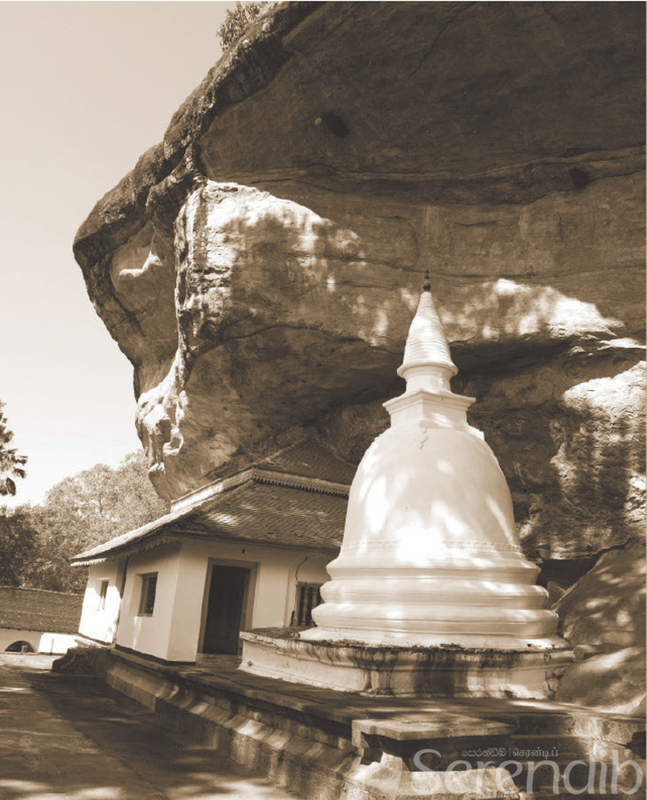 First hidden in Mulgirigala Viharaya and later at the Ridhigala Vihara in Kurunegala, the Relic was then concealed inside a kurakkan gala (Grinding Stone) at the Delgamuva Vihara in Ratnapura. 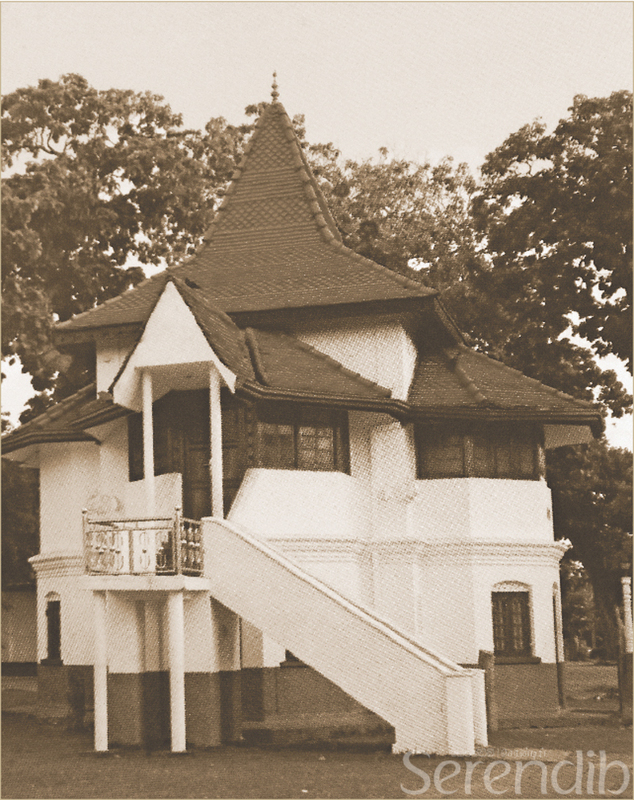 After the fall of Kotte and Sitawaka and the establishment of the Kingdom of Kandy by King Vimaladharmasuriya I, the Dalada Vahanse was placed in the Vadasitina Maligawa (Shrine of the Sacred Relic) near the King's Palace of the Sri Dalada Maligawa where it still remains. 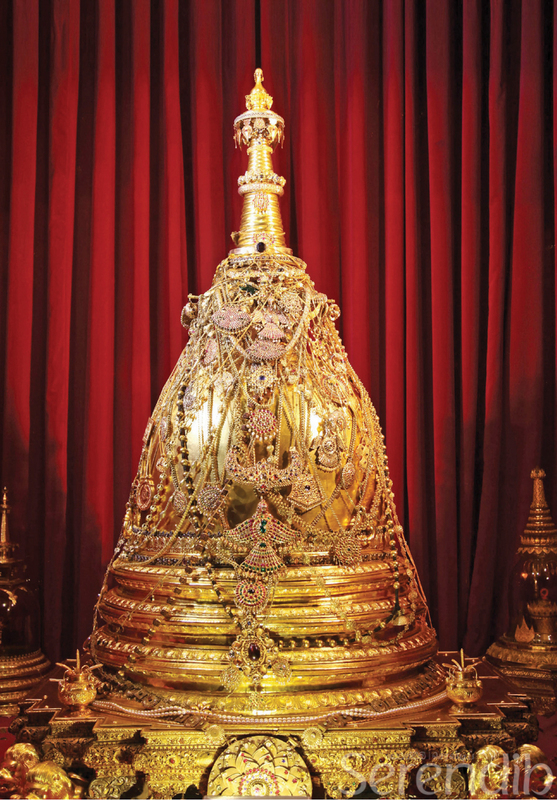 The Sacred Tooth Relic of the Buddha is worshipped at the Dalada Maligawa with the greatest reverence. 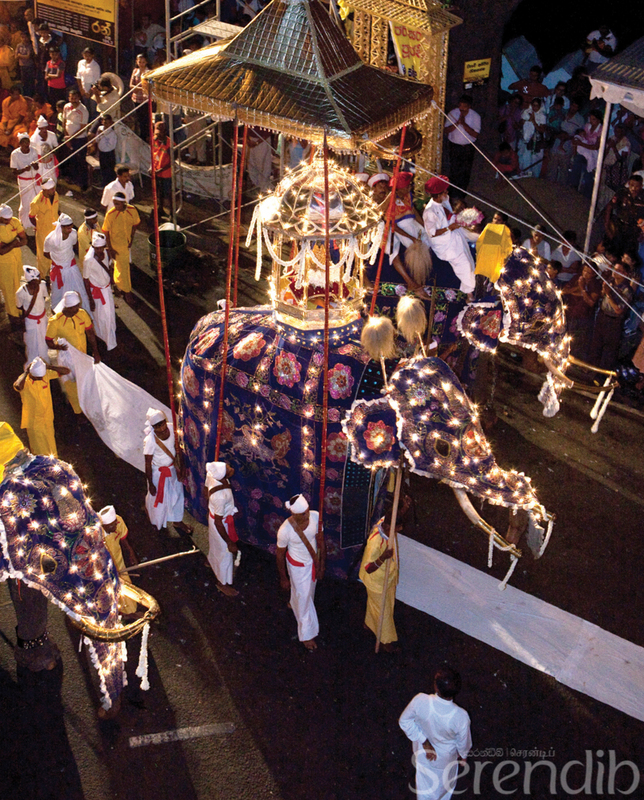 The Dalada Perahera initiated by King Kirthi Sri Megavanna continues, and the procession has paraded through the streets of Kandy for over 300 years. 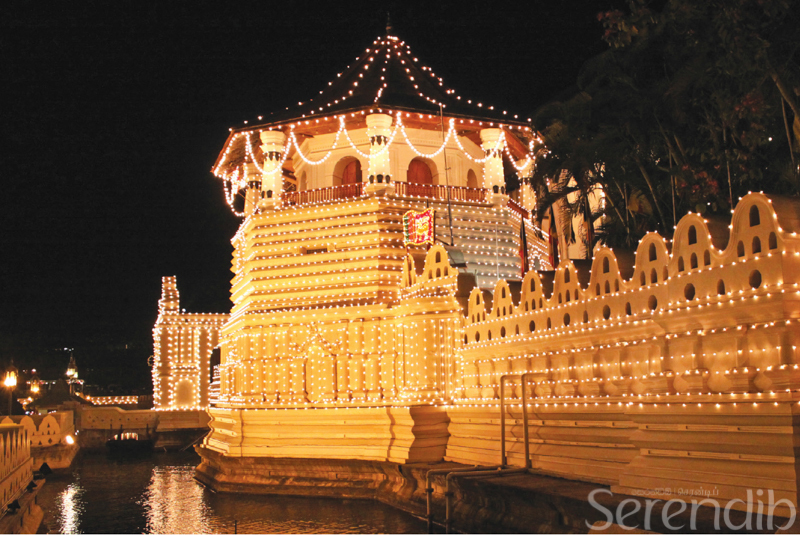 With heritage music, dance and art, sacred rituals and great reverence, the Kandy Esala Perahera takes place in August each year in line with the Dalada Siritha. The festival commences with the Devale Perahera, the processions for the four guardian deities of Sri Lanka - Natha, Vishnu, Pattini and Kataragama. Street processions commence with the Kumbal Perahera held for five consecutive nights. 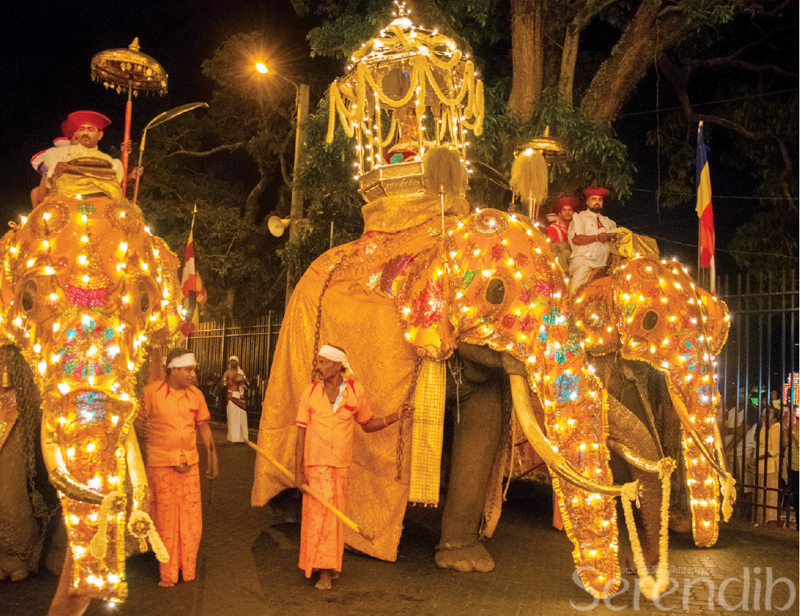 Thereafter, begins the Randoli Perahera where the casket bearing the Dalada Vahansa is placed upon a caparisoned bejeweled tusker and is paraded through the Kandy streets accompanied by over a hundred elephants, dancers and musicians. It concludes with Maha Perahera or Fifth Randoli Perahera coinciding with Nikini Full Moon Poya. The Dalada Perahera is a grand pageant that showcases the island's millennia-old traditions and customs. It represents the legacy of the Dalada Vahansa in Sri Lanka and the great dedication of her people to protect and worship the Sacred Relic.